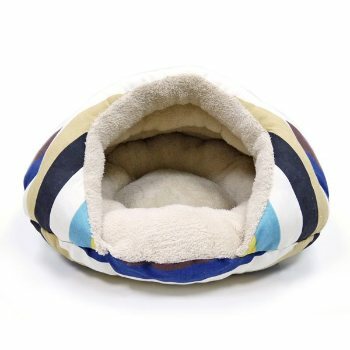 Your pet will love to cuddle in this designer styled striped cave like sleeper. The Dogo Burger bed is soft, cozy, and gives a sense of security unlike any other beds to both cats and dogs. Base diameter measures 22 inches. Dog in picture weights 11lb.